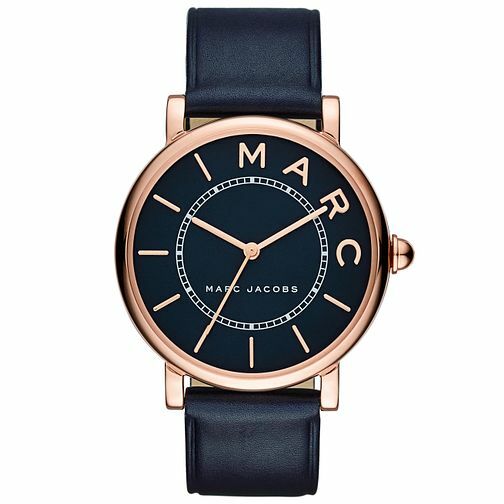 From the collection designed by Marc Jacobs, this chic timepiece is effortlessly on trend and incredibly versatile. Featuring a rose gold tone case, sophisticated navy leather strap and classic logo branding to the navy blue dial. Marc Jacobs brings refined and understated glamour for women.